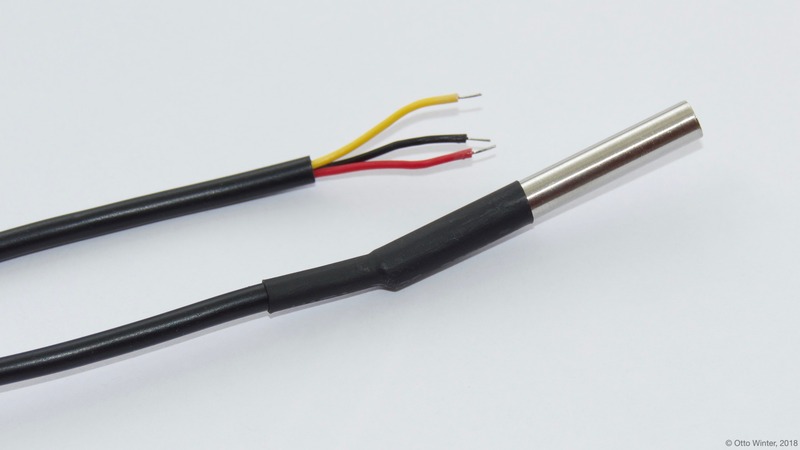 The dallas component allows you to use your DS18b20 (datasheet) and similar One-Wire temperature sensors. To use your dallas sensor, first define a dallas “hub” with a pin and id, which you will later use to create the sensors. The 1-Wire bus the sensors are connected to should have an external pullup resistor of about 4.7KΩ. For this, connect a resistor of about 4.7KΩ (values around that like 1Ω will, if you don’t have massively long wires, work fine in most cases) between 3.3V and the data pin. pin (Required, number): The pin the sensor bus is connected to. update_interval (Optional, Time): The interval that the sensors should be checked. Defaults to 60 seconds. The dallas sensor allows you to use ds18b20 and similar sensors. 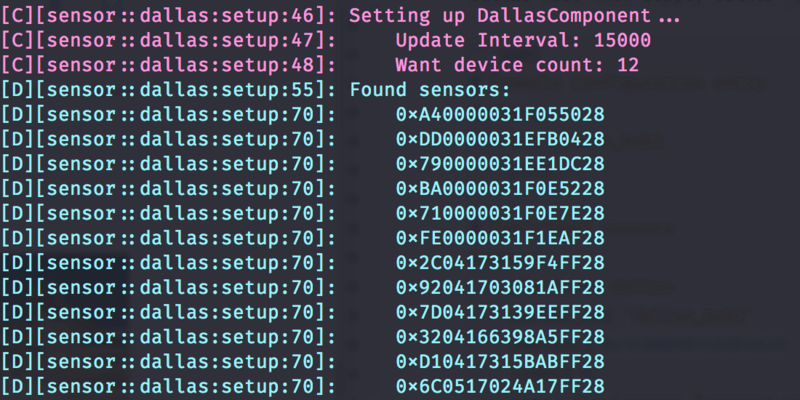 First, you need to define a dallas sensor component. The dallas sensor component (or “hub”) is an internal model that defines which pins the ds18b20 sensors are connected to. This is because with these sensors you can actually connect multiple sensors to a single pin and use them all at once. To initialize a sensor, first supply either address or index to identify the sensor. Wired Version of the DS18b20 One-Wire Temperature Sensor. address (Required, int): The address of the sensor. Use either this option or index. index (Required, int): The index of the sensor starting with 0. So the first sensor will for example have index 0. It’s recommended to use address instead. resolution (Optional, int): An optional resolution from 8 to 12. Higher means more accurate. Defaults to the maximum for most dallas temperature sensors: 12.
dallas_id (Optional, ID): The ID of the dallas hub. Use this if you have multiple dallas hubs. Next, individually warm up or cool down the sensors and observe the log again. You will see the outputted sensor values changing when they’re being warmed. When you’re finished mapping each address to a name, just change the Temperature #1 to your assigned names and you should be ready.